There are rooms available to rent in this large 7-bedroom apartment on Calle de la Hipica, Getafe. This property offers a fully equipped kitchen and living room. There is 1 shared bathroom available, as well as 2 ensuite bathrooms, and a large shared patio. 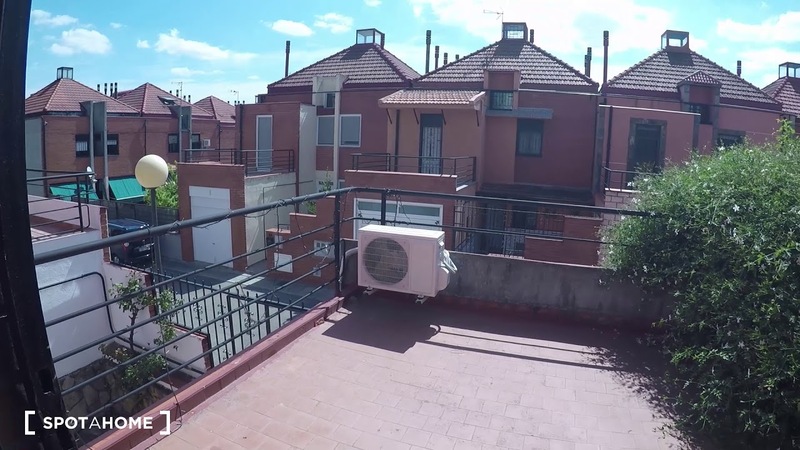 Located in the Getafe area, this property is just 15-minutes' walk from the Getafe3 shopping mall, where you can find a range of shops and restaurants. The Sector III Park is just 2-minute's walk away, offering plenty of space to get out and get some fresh air. The living room is equipped with a large dining table, perfect for sharing meals. The shared patio offers plenty of space to get out and get some fresh air and sunshine. The shared bathroom is equipped with a shower, toilet and sink. This property is just 20-minutes' on the metro from the University Carlos III de Madrid: Getafe Campus. There is only 1 shared bathroom in this apartment, but there are also 2 ensuite bathrooms. The Arroyo Culebro Metro station is a 5-minute walk from this property and services line 12.